ASHEVILLE NC – On National Trails Day June 1, Chimney Rock will host their third annual On the Move Family Wellness Day event from 11 a.m. to 3 p.m. on the Meadows. On the Movefeatures community partners offering wellness and nutrition tips, outdoor activities, local organic food and health screenings. The family-friendly event includes free chair massages, kids’ climbs on a climbing tower noon-2 p.m. and a family guided hike on the Great Woodland Adventure at 3 p.m. There is no additional charge with paid Park admission, which is $12 adults, $6 youth (ages 5-15) and free for kids under five. “On the Move kicks off the summer by helping parents find ways to spend time with their children in nature. In addition to fun, educational health activities for families, kids can enjoy playing outdoors, meeting live animals at Grady’s Discovery Den and picnicking in the Park,” said Matt Popowski, PR & Events Manager, Chimney Rock at Chimney Rock State Park. For decades, Chimney Rock has promoted hiking as a great way to stay fit and connect with nature. With help from community organizations like Hickory Nut Gap Farm and the Allergy Partners of Western North Carolina, this annual event helps connect families with resources for preventative care, healthy nutrition and general wellness. On the Move program. On the Move is also a program designed to encourage people to be active and reach their fitness goals while enjoying the beautiful scenery of Western North Carolina. People who are active regularly tend to feel better, eat healthier and be happier. Chimney Rock offers the Ultimate Stairmaster with 1349 stairs surrounded by some of the most inspiring, beautiful scenery in the Southeast. On the Move provides simple exercise tips and health information to get started, along with trails information for Chimney Rock State Park and an exercise log, packaged conveniently in a pocket-sized notebook distributed for free. Save Money & Get Fit. For adults who enroll in the On the Move program at Family Wellness Day, they can upgrade their day admission to a Chimney Rock Annual Pass for a special rate of only $8 (a $5 savings). Attendees need to fill out the Physical Activity Survey in the program booklet and turn it in at the Park’s Ticket Plaza for the upgrade special. While the Hickory Nut Falls trail is closed, new Annual Passes are good for 18 months of unlimited visits, discounts on Park dining and retail and discounts on area attractions, dining and shopping. Chimney Rock at Chimney Rock State Park has been one of the Southeast’s most iconic and popular travel destinations for more than 100 years. Beyond its stunning 75-mile views of Lake Lure and Hickory Nut Gorge, Chimney Rock offers scenic hiking, rock climbing, Grady’s Animal Discovery Den and educational events year-round. It’s the only state park in the Southeast with an elevator inside a mountain. Chimney Rock’s Race to the Rock, a 5k run or 25-mile bike race, is part of the 9th Annual Lake Lure Olympiad, a three-day sports festival August 23-25, 2013. The Park is located only 45 minutes southeast of Asheville on Highway 64/74A in Chimney Rock, N.C. Call (800) 277-9611 or visit chimneyrockpark.com. ASHEVILLE NC – Buncombe County Pools will open to the public weekends beginning Memorial Day Weekend, Saturday, May 25. ASHEVILLE NC – Buncombe County Government offices and libraries will be closed on Monday, May 27 for Memorial Day. Household Hazardous Waste and Electronics Recycling Day at the Buncombe County Landfill will be cancelled on Friday, May 24. The Landfill and Transfer Station will be open regular hours on Friday, May 24 and Monday, May 27. ASHEVILLE NC – French Broad River MPO and NCDOT are sponsoring the Western North Carolina Regional Travel Survey. The purpose of this travel survey is to collect information on local household travel behaviors. Residents of Buncombe, Haywood, Henderson, Madison and Transylvania Counties are being invited to take part in this important Regional Travel Survey. A sample of households across the region have been receiving letters since April asking them to participate in the survey, and recruitment will continue through early June. Those households selected for the study will receive or have already received a letter in the mail with instructions about how they can participate. The survey results will help in calibrating the Travel Demand Model used by transportation planners to help the region plan for needed roadway, transit, bicycle and pedestrian improvements. Any personal data collected will be kept confidential. In order to better understand the transit needs in our region, the On-Board Transit Ridership Survey will be going on from May 20th through May 31st. Survey takers wearing blue vests will board Asheville Transit and Apple Country Transit buses and ask transit riders a few simple questions. The transit survey should take about five minutes per person. On-Board Transit Survey results will be kept confidential and participation is completely optional. Mountain Mobility Trailblazer Routes will not be included in the On-Board Transit Survey at this time. ASHEVILLE NC – “People and Places of Nepal,” an exhibition of watercolor paintings in the plein air style by Dhwoj Bahadur Gurung, will open with a reception from 3-5:30 p.m. on Wednesday, May 22, in the Blowers Gallery at UNC Asheville’s Ramsey Library. Both the reception and the exhibit are free and open to the public. “People and Places of Nepal” will be on view during library hours through June 30. For more information, including viewing hours, visit the Ramsey Library website or call 828.251.6436. ASHEVILLE NC – Even as search and recovery dogs are being used in the search for victims of the Moore, Okla., tornadoes, training of such dogs is ongoing at Western Carolina University. Each spring, the university’s Division of Educational Outreach offers two sessions of “cadaver dog” training that draws search and recovery dogs and their human handlers from across the eastern U.S. to Cullowhee for several days of intense classroom and field work. · Several handlers from Missouri who were involved in the Joplin, Mo., tornado recovery in 2011. ASHEVILLE NC – These classes will explain how Medicare works, the enrollment process, how to avoid penalties and ways that beneficiaries might save money. The classes are free and open to the public. People new to Medicare, caregivers and others who help senior citizens with their Medicare insurance should consider attending this informative class. The information presented is unbiased and accurate. No products are sold, recommended or endorsed. The class will also cover additional coverage options that are available, ways to save money and answer general questions regarding the program. Space is limited, so call The Council on Aging at 277-8288 today for further information and to reserve your place. Sponsored by The Council on Aging in conjunction with Senior Health Insurance Information Program (SHIIP). ASHEVILLE NC – Average portion sizes have grown so much over the past 20 years that sometimes the plate arrives and there’s enough food for two or even three people on it. 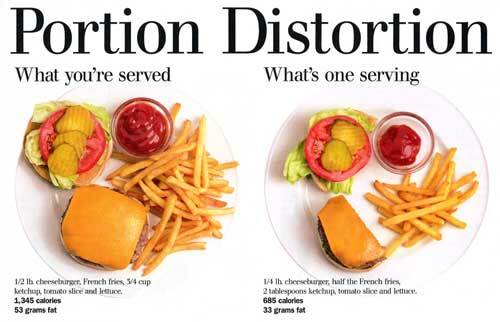 Growing portion sizes are changing what Americans think of as a “normal” portion at home too. ASHEVILLE NC – The City of Asheville Mayor’s Committee on Veterans Affairs will host the annual Memorial Day ceremony on the Roger McGuire Green of Pack Square Park at 3 p.m. on May 27, 2013. Event highlights will include the Presentation of Colors by Enka High School ROTC and Recognition of Service by Buncombe County Commission Vice-Chair Holly Jones. Mayor Terry Bellamy of the City of Asheville will be the keynote speaker. A wreath will be laid by representatives of the Armed Forces and emergency responders in commemoration of those who have sacrificed their lives in service to their country. The ceremony will include musical performances and a rifle volley by the Asheville Police Department Honor Guard. Larry Blunt, news anchor for WLOS13, will serve as Master of Ceremonies. The public is invited. For more information on the event, please contact the City of Asheville Parks, Recreation, and Cultural Arts Department at (828) 259-5800. ASHEVILLE NC – UNC Asheville today dedicated the “TD Bank Atrium” in Rhoades Hall, in honor of a major gift from TD Bank to the university. The atrium on the first floor of the newly and greenly renovated building is a popular study and meeting spot for environmental studies and other science students. Rhoades Hall houses science classrooms, labs and offices. UNC Asheville dedicated the atrium in recognition of TD Bank’s gift of $200,000 to the UNC Asheville Foundation. The gift, given in 2011, took the form of a reduced purchase price paid by the Foundation for the 8.9-acre land parcel at 525 Broadway, adjacent to campus. A portion of that parcel will be used as part of the greenway along Reed Creek linking UNC Asheville and the Montford neighborhood with downtown. With large energy-efficient windows that provide natural lighting, the TD Bank Atrium has a prominent video dashboard displaying energy and water use to show the impact of Rhoades Hall’s green features and provide a reminder to conserve. The naming ceremony took place on Thursday, May 16, in the TD Bank Atrium and also featured remarks by Keith Krumpe, UNC Asheville dean of natural sciences, Cissie Stevens, chair of UNC Asheville’s Board of Trustees, and Charles Wood, chair of the UNC Asheville Foundation Board of Directors. You are currently browsing the Asheville NC News blog archives for May, 2013.